The videos are also designed for full screen viewing. You could just Left Click the links below and watch the shows in your browser, but it's much better to Right Click and select "Save Link Target As..." Then enjoy the videos in full screen splendor. The folks at Blizzard added a cool feature in Patch 3.1 that allows you to save and switch between several sets of gear. It's terrific! But using the feature is a bit confusing at first. I don't have a Skinner character myself, but if I did this would be a place I'd want to go! Motes? Aren't those so two expansions ago? That's what a lot of players think, which is exactly why motes are excellent gold makers. Take a look at your AH. On many realms Motes are selling for MORE than Crystals. 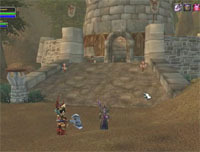 Nagrand is the place to find almost all mote types. Here's how to make this popular daily quest go a little faster. You've probably seen ads on the Internet for World of Warcraft guides that promise you can make thousands in gold every day with their “secret” tricks. You've probably also seen ads on TV that promise you can make millions of dollars in your spare time through “secret” real estate tricks. Neither of those promises is true. Sure, there are rare occasions when a person could buy real estate at government auctions at greatly reduced prices, then sell the property for a tidy profit. 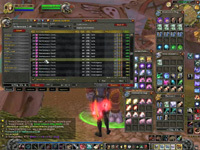 And there are times when you could buy bargains on the WoW Auction House and resell those items for a chunk of gold. But do you really think the people who advertise those phony schemes are the first to discover these tricks? Think about it. 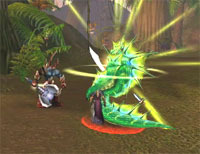 Millions of people play World of Warcraft all over the world. 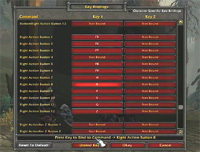 AddOns have been created for the game that are specifically designed to watch the Auction House. Every minute of every day on every server there are thousands of players who are searching the AH for deals. You simply cannot start a level 1 character, dash to the AH and start making thousands of gold within a few hours. The people who make that claim - and want you to buy their guide for $40 or $50 or more - are lying. My name is Jarvis Hooten. My main character's name is Zena. Zena's Pro Gold WoW Guide tells the truth about making gold in World of Warcraft, plus lots and lots of other tips about the game. 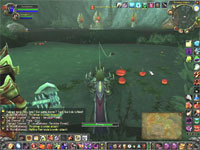 You'll find valuable tips on Battlegrounds, Questing, Raiding, AddOns and extensive, easy to understand pointers on Professions. 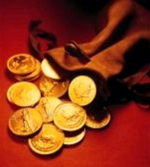 The main focus of Zena's guide is gold making. That remains the hardest part of the game to master and there is very little reliable help on gold making offered by the many other guides and web sites. The truth is there are no “secret” tricks for making gold in WoW. 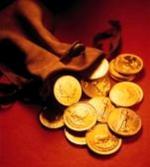 There are techniques and methods for making gold, but no secret tricks. Period. Hmmm, if I don't have any secret tricks for making gold, then why should someone buy my guide? Because learning the techniques and methods for making gold takes time--a lot of time. I've done the research for you, so my guide will save you many hours of trial and error. Having my guide is like having a rope that shows you the way through a maze. Without it, you'll waste a lot of time running into dead ends. Okay, so how DO you make gold in WoW? 1. Quest rewards are obvious. Everyone gets those. At maximum level you get more gold in quest rewards instead of Experience points. 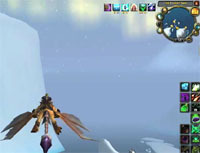 I know players who made the gold they needed to get their epic flying mounts just by doing daily quests at level 70, back when 70 was maximum level. It took them weeks and weeks of running quests over and over. Now maximum level is 90. Good grief, do you really want to wait till 90 to get your epic flyer? I fly past level 80 players who are still on slow flyers and wonder how they can stand it. But if you're okay with that, hey, it's your fifteen bucks a month, right? If you're satisfied with just getting gold through quest rewards, then you don't need my guide. 2. Coin drops from mobs: Most mobs only drop small amounts of coins. You don't get rich just by killing mobs for the coins they drop. Or do you? Chinese gold farmers made themselves famous by grinding mobs in certain areas just for the high coin drops. I'll show you where those areas are so you can try it for yourself. 3. Selling items to vendors: In the "old world" continents (Kalimdor and Eastern Kingdoms), most of the so called "vendor trash" items really are trash. Those gray items sell to vendors for such low prices they're almost not worth picking up. Blizzard changed this in Outlands, Northrend and Cataclysm zones. Vendors are happy to pay a lot for junk items you pick up in the expansion zones. This is not how you get rich, but it is one of your sources for gold. 4. 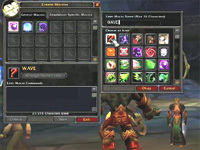 Charging Fees: Enchanters can charge a fee to Enchant another player's gear. Lock pickers can expect tips for opening lock boxes. 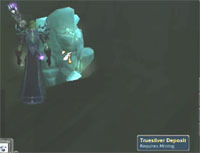 High level players can charge low level players for runs through instances. These are the three most common services for which players can charge fees. There are others, such as a mage providing a portal or a Warlock summoning a character for a fee, JewelCrafters cutting gems for fees and so on. Charging a fee for your service is a nice way to make a little bonus gold, but it's not the way to get rich. 5. Selling items on the Auction House: The Auction House is where the money is. This is free enterprise and an open market at their best. Of course, to make gold from the AH you have to have items to sell. That's obvious, right? And to make big gold from the AH you have to have valuable items to sell that other players really want to buy. Where do you get these precious items that other players will gladly pay high prices for? How do I get rich from the AH? 1. Killing mobs for items drops is pretty obvious and fundamental, although most of the mobs you kill do not drop items that will sell on AH. Yes, there are those very rare Bind On Equip items that we all get now and then if we kill enough mobs. And yes, you could go out killing humanoids for hours and hours to collect cloth to sell on AH. (My guide will explain how foolish THAT is!) There are, however, specific items dropped by specific mob types that are worth the grind. I'll explain what those items are, why they are valuable and show which mobs drop them. 2. 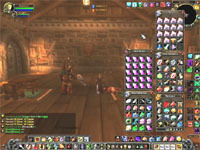 Collecting items with Gathering Professions: Using Gathering Professions to gather materials is also an obvious and fundamental way to get items to sell on AH. I've seen guides that say your character's Primary Professions should both be Gathering Professions to make gold. They are wrong. Sure, you can make gold by gathering minerals, herbs and leathers and selling them on AH, but haven't you ever wondered about who's buying those materials? Crafters buy those mats and turn them into items they can sell for five times what your mats cost! Still, it's your game; play it your way. If you're satisfied with making gold by gathering and selling, gathering and selling for hours on end, then you don't need my guide to tell you how to do that. Besides, players like me need gatherers to provide us materials. Thanks, gatherers, for all your hard work. Crafters are getting rich by using the materials you gather! 3. Making items with Crafting Professions: Crafting is where the big money is, folks. Crafting is also where most players get discouraged or confused. You make gold in WoW through Professions. The game is designed that way. It's the main reason Professions exist. But the Crafting Professions are also the hardest part of the game to learn and use effectively. I'll show you how to make Crafting Professions sing and dance for you. 4. Buying items from vendors or the AH: Yes, I include playing the Auction House because there are buy low, sell high opportunities if you know what to look for. There are guides that claim you could be making thousands of gold within hours of creating a level 1 character simply by playing the AH. That is a flat out lie. I'll give you an explanation of how to use the AH that is true and thorough, yet easy to understand. You'll get to read about it, see pictures of it and even watch videos on how to make gold with the Auction House, and everything in my guides and videos is honest and legitimate. I tell you straight up that not every technique in my guide is going to work on every server. That's the beauty of WoW. Each realm truly is a world of its own. My guide offers so many useful techniques, though, that you're certain to discover ways that do work--and work very well--to make gold for you and make your entire gaming experience more fun. I won't try to gouge you with the price of my guide and I won't hide the price till you go to the purchase page (as some guide sellers do). I'll tell you right up front it's $4.95. That's discounted from the original price of $19.95. What do you get for less than five bucks? More than you get from other guides that sell for ten times as much, that's for sure! For $4.95 you will be given access to a download page. On that page you will get Zena's Pro Gold WoW Guide; a PDF book formatted for wide, full screen viewing. The layout is gorgeous, if I do say so myself, with over a hundred pages of easy to understand tips and techniques, not just for making gold but also for getting the most out of the game. The guide is loaded with pictures and graphics. You'll learn about Battlegrounds, Dungeons, Quests and grinding techniques. In particular, you will learn one basic strategy for using Crafting Professions that will likely change the way you play the game forever. You also get videos, lots of videos. I usually play WoW on a Mac. 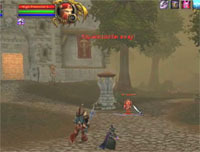 Non Mac users may not know this, but the game comes with a video capture feature that only works on Macintosh computers. There are third party applications you can get that will do video capture, of course, but when it's integrated into the game the image quality is remarkable. You will be able to expand the videos to full screen so they will look exactly as the game looks on your screen. You will watch as if you were playing my character yourself as we go to specific places and do specific things that you can easily do when you play your own character. You can pause, go back, skip ahead and re-watch anything as much as you like. What makes me an authority on World of Warcraft? I'll tell you right now I do not claim to be an authority on the game. I'm not a WoW freak who plays 15 to 20 hours a day. (How do those people make a living, anyway?) I have a job, family, friends, you know--a life. I'm what I would call a WoW “Hobbyist,” which means I do play the game a lot, but not so much that it takes over my life. Early on I discovered a knack for making gold in WoW. Other players in my guild were complaining that they couldn't afford their mounts while I had plenty of gold for mounts. I could easily afford my first mount at 40, the earliest level you could get a mount at the time. 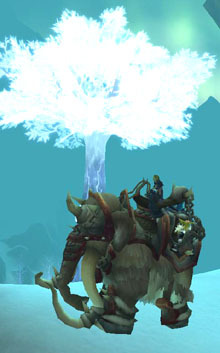 At 60 I hopped straight onto an epic ground mount while most players end up having to wait till level 63 or even 65 before they can afford that faster mount. At 70 I already had plenty gold for a flyer and within just a few days I moved up to an epic flyer. At the time, that was a real accomplishment! That was on my main character. My alternates had it even easier. 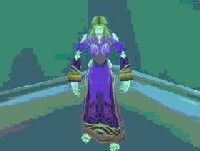 I have several alternate characters, as many of us in WoW do. All my Alts have all the flying skills in the game. To get all five flying skills on one character costs 11,000 gold. Do you have enough gold to get all flying skills ... for five characters? I also discovered that I was having a much easier time with my Professions than other players. This was especially true of Enchanting. It seems everyone complains about the cost of materials to build up Enchanting; not just players I know or talk to in the game, but players who post comments to forums. Everyone seems to think it's hugely expensive to have an Enchanter character. I found it to be just the opposite. Being an Enchanter didn't cost me a lot of gold; it made me a lot of gold! What was I doing so differently from other players? Well, if I do have one “secret” technique to share, this is it, and it is explained in my guide. I don't think of it as a secret at all. Honestly, I can't believe every player hasn't thought of it. Obviously most players have not thought of this method, though, and that's why I decided to write a guide about it. My method is simple and straight forward and it's yours for $4.95. During that time WoW became my escape. I qualified for unemployment benefits—more proof that I was unjustly fired—so I was able to keep the bills paid while I applied for jobs. I found myself with quite a bit of time on my hands and WoW was a wonderful way to take my mind off my troubles. For almost a year I played WoW over twelve hours a day. I turned into one of those WoW freaks! I became a fierce Battleground player, a weekly Karazhan raider and an adventurous explorer of all things WoW. It's important to note that I did not change my method or spend a lot of extra time on making gold during that time. You don't have to play the game 12 or more hours a day to get rich in WoW. For those several months I really got into PvP Battlegrounds, which do not make gold. In fact, doing Battlegrounds and raids costs your character gold. Good thing I had a strong gold making method or my characters would have always been broke! It doesn't take 50 or more hours a week of play time to make plenty of gold. However, playing that much did allow me to indulge deeply in the game, and that made me much more prepared to write about it. I've had time to go all over the continents of Azeroth, to check out every possible grinding spot and explore every pocket of mobs. I'm a curious, adventurous kind of person anyway, so it's in my nature to get off the beaten path and see what I find. My guide explains interesting places you may not have had time to investigate and shows you great grinding spots you may not have had time to discover. All you need to do now is click the “Buy It Now” link. You'll be taken to the easy payment page, where you can use PayPal or any major credit card. The moment your payment clears a link will pop up showing "Return to Jarvis Kaler Entertainment." That link takes you to Zena's Pro Gold WoW Guide Download Page, where you will have access to the guide and all the videos. In less than five minutes and for less than five dollars you'll be trying out gold making techniques that really work, and you'll have fun doing it! Zena thanks you. "I'm gonna keep recommending your guide to as many people as I can for ya. It really is hands down the best guide for the money. I don't even know if i've ever even seen a guide as cheap before, and it is chocked full of some really comprehensive info. on how to make gold using the proffs. and the mailing system not to mention all the extras... Great service man, Couldn't be a more satisfied customer. The techniques in this guide work just as well for both Alliance and Horde! Like my mount? 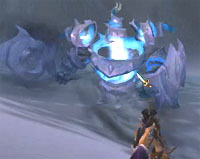 This is the Traveler's Tundra Mount. It has two extra seats so other players can ride along, which is a convenient way to run lower level characters through high level areas. What's really cool is when you're not carrying other players the two extra seats are occupied by vendors, and one of them is a repair vendor. Get this mount and you never have to go back to town for repairs or supplies! What's the down side? This mount cost me 17,000 gold. And you thought a flying mount was expensive! Oh yeah, it's good to be rich. 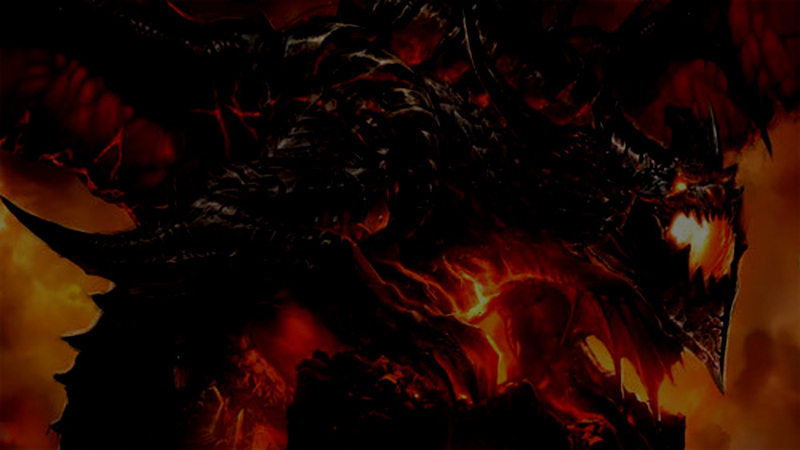 This is the guide for Tanks and Healers and for DPS-ers who want to be tops in their guilds. Some players LOVE exotic pets. Here's a place you can just buy them from a vendor then sell them on AH for ten times as much! This may or may not work on your server, but it's worth looking into. Fishing is boring. There's no getting around that. Here's a simple way to level up your Fishing skill AND make a little gold without feeling as if you're wasting a bunch of time. The videos below became obsolete after Cataclysm. I've left them up here for older players to enjoy a bit of nostalgia and for newer players to see how the game used to be.